This page is for our Newcomers Inpsired Connected and Engaged Series, otherwise known as NICE. NICE invites both newcomers and non-members to join each other for four sessions of learning and discussion. During the course, topics include your own personal spiritual journey, spiritual traditions, what we do here at FUSIT, the history of Universal Unitarianism, and what it means for you to become a member of the First Unitarian Society of Ithaca. The 4-class series is designed with you in mind and to inspire participants with our liberal faith, connect participants with new friends and new ideas, and engage with their spiritual self. NICE takes place on Sundays from 12:00 to 1:30 PM, directly after the service. Bring your lunch, explore UUism and share great conversation! All non-members are welcome in NICE, whether you have been a Unitarian Universalist for life or have only just stepped through the doors. The session dates vary from year to year and registration is required. To register for for NICE, please contact the Community Engagement and Outreach Coordinator at memcoord@uuithaca.org. Each group has 8 members. Interested? Participating? Here are the links to readings and videos that NICE explores throughout the sessions. 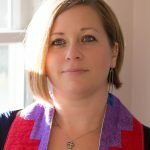 Questions about UU Covenant: what do we promise one another? This page has many, many graphs and charts showing the results of surveys of Unitarian Universalists and other members of Liberal Faiths. Wondering how much the average UU makes in a year? Wondering about gender distribution? Previous spiritual experiences? Immigrant status? Parental status? Marital Status? Just about anything else? Find it right here. Here’s another survey, but one exclusive to UU. This presentation was created by the UUA and is in the form of a PowerPoint. THEME: What is Membership to you?